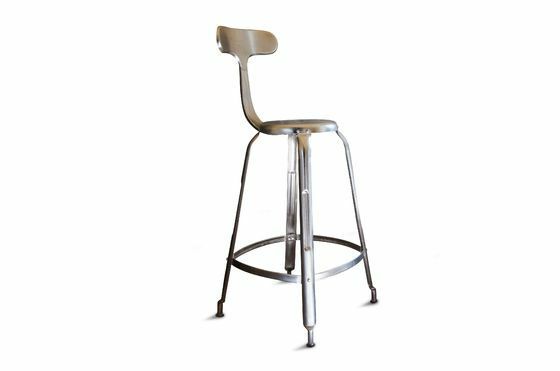 Opt for a 100% vintage industrial bar chair which will bring a raw metallic spirit to your high dining table or corner bar. 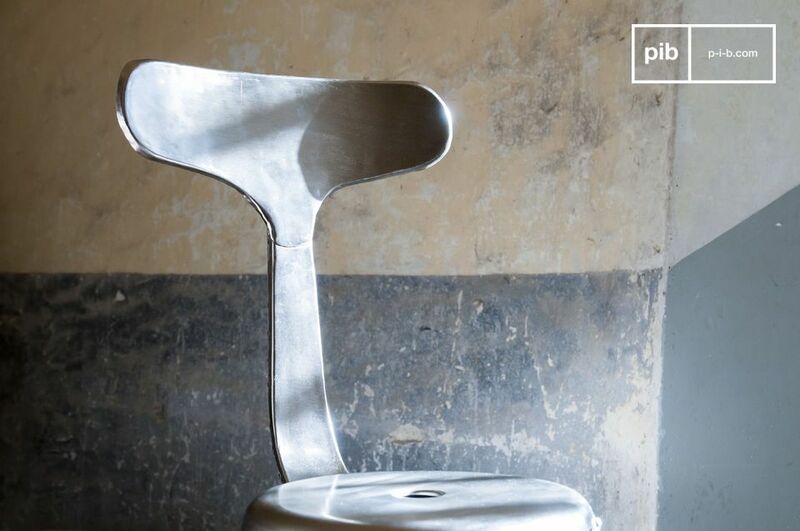 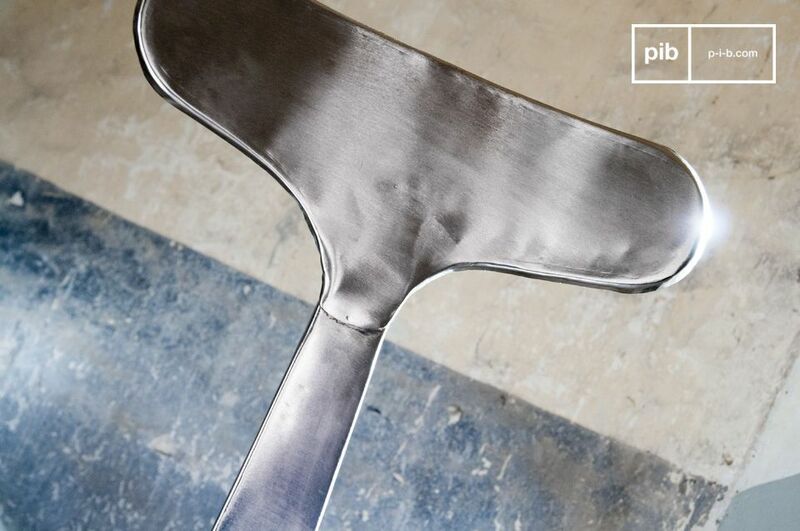 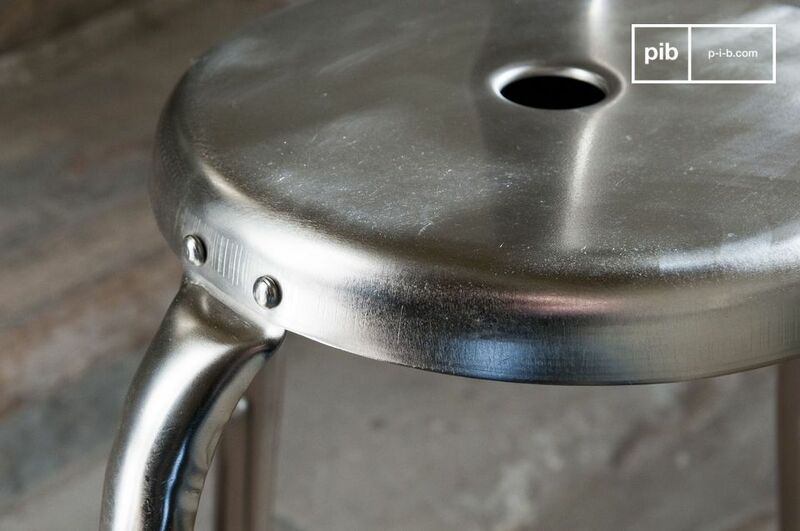 Completely made of metal, this barstool with rivets has a "whale's tail" backrest that will fit and hold the back. 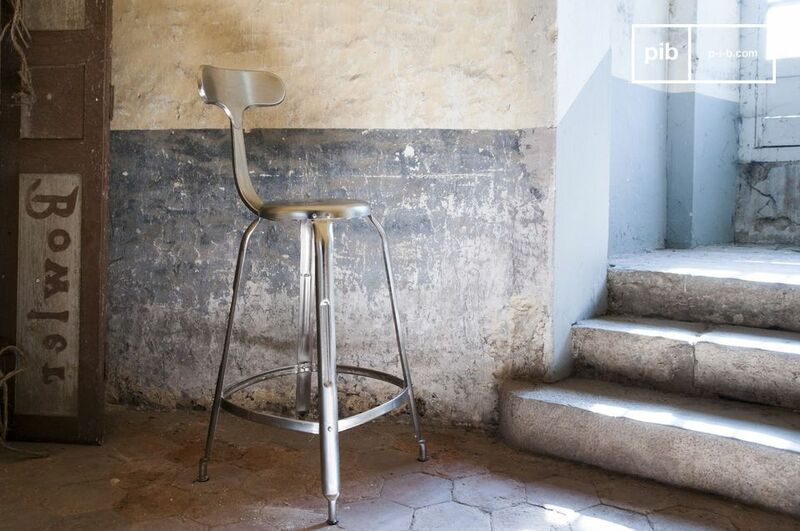 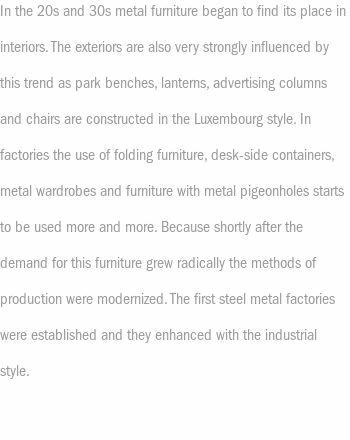 On the lower part, a horizontal footrest ensures a good level of comfort for extended uses of the chair. 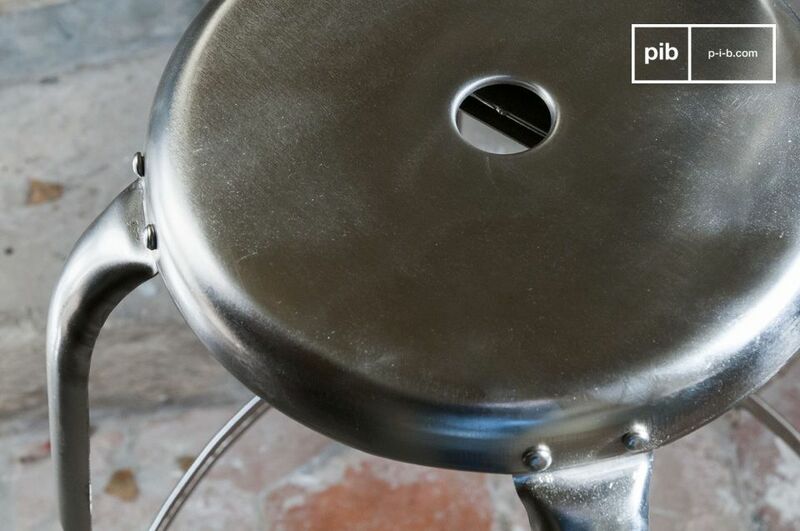 Visible rivets enhance the vintage industrial spirit of these vintage bar stools, as well as the handle in the center of the seat.